In 2008, our company completed its acquisition of Popper and Sons, Inc. This acquisition of Popper, a leading specialty needle and metal tubing medical device manufacturing company, makes our combined company the leading contract manufacturer of cutting and piercing devices for the medical device industry. The pointing capabilities we offer to OEMs have been evolving in our Rhode Island facility since 1922. 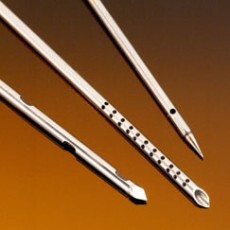 We enjoy an industry-leading reputation as a key supplier of specialty needles that are produced using the latest pointing methods.